The CleanTech 2000S is ideal for industrial environments like food processing and pharmaceutical manufacturing where constant compliance is regulated. 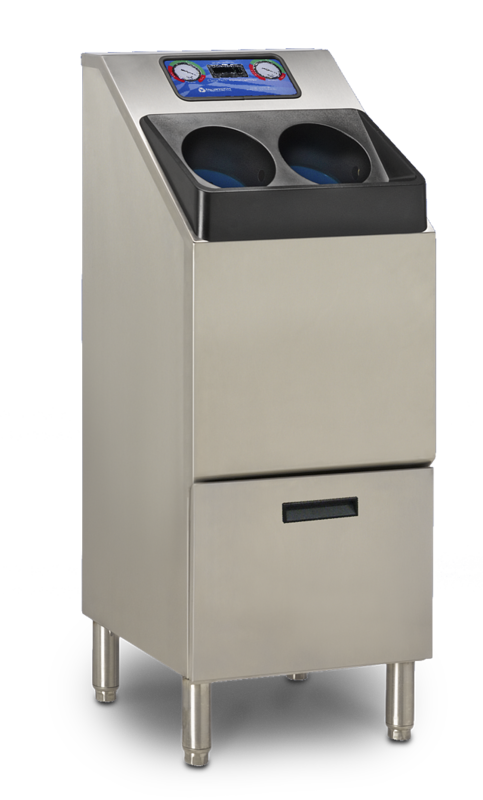 This automatic handwashing station incorporates a self-cleaning feature in an industrial stainless steel, floor mount housing that is extremely durable and can be hosed down for easy external cleaning. Drain: Standard 1 1/2" drain stub, P-Trap to be supplied by facility. Wall and floor drain required for footwear sanitizing option. Ideal drain height 18-22" from floor. Ideal for food production, packaging, and cleanroom facilities where consistent, guaranteed handwashing is critical for regulatory and standards compliance. Visit your market for more insight into other available Meritech solutions.